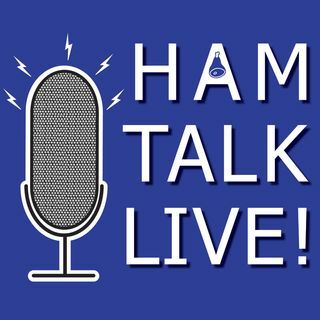 Episode 12 - Dayton Preview: Chair and Spokesperson | Ham Talk Live! On this episode, Jim Tiderman, N8IDS, Hamvention General Chairman; and Mike Kalter, W8CI, Hamvention Spokesperson, are here to talk about what's new at Hamvention and the latest on the future of Hara Arena. They will be taking your calls LIVE about, as they used to say on the FARA system, "the 53 hours that is... Dayton." And you'll have a chance to win a FREE admission ticket to Hamvention for calling in with a question, courtesy of Ham Talk LIVE! Congratulations to 14 year old Marty Sullaway, KC1CWF, for winning the admission ticket to Hamvention! He will get a student ticket, but his Mom has one now!